Knowing where to choose accommodation in Paris often poses a problem for first time visitors. If you’ve never been to the City of Light, it’s difficult to imagine exactly what it’s like and what area to choose. I’m always surprised when I learn that travel agencies have recommended hotels near the Eiffel Tower or Montmartre, for example, because they’re so far from anything else. The main artery in Paris is the Seine. The city “intra muros” as the French say (within the walls) is in the shape of a rough oval with the Louvre more or less in the centre. The historical centre, with Ile de la Cité, the main island in the Seine and home to Notre Dame Cathedral, is slightly to the east. South of the Seine is the artistic Left bank, while the more shopping-oriented Right Bank is north. The oval is divided into twenty districts called arrondissements, forming a spiral starting in the middle. First-time visitors often only come for a few days and want to see a maximum number of sights so it’s important not to spend half the time on the metro, efficient though it may be. Also, the best way to soak up the atmosphere of Paris is on foot. You may need to downscale your sightseeing list. You’ll enjoy the City of Light much more if you leave plenty of time for just wandering around the smaller streets, enjoying the sidewalk cafés and watching the sunset. To decide where to stay, you should first make a short list of the places you want to see. The Eiffel Tower, Notre Dame and Sainte Chapelle, the Louvre, Orsay and Orangerie Museums, the Latin Quarter, the Sacré Cœur, Montmartre and perhaps the Moulin Rouge, the Marais and the Champs Elysées will probably be high on your list. If you’re only staying three or four days, two museums will probably be enough and even then, you’ll have to select the main works or you’ll soon suffer from museum fatigue. If you want to go to Versailles, you’ll need to set aside an entire day. Once you’ve drawn up your list, take a look at a map and see where they are. You’ll find that Notre Dame, the Louvre, Orangerie and Orsay Museums and the Latin Quarter are all more or less clustered around the same central area with the Marais slightly to the east. The Moulin Rouge, Sacré Coeur and Montmartre are up in the north on a hill called Butte Montmartre and the Eiffel Tower is off to the west. One important thing to remember in Paris is that, unlike large US and Australian cities, a block on the map is only a couple of hundred metres. The walking distance between two metro stops is quite short, often only ten minutes. I can powerwalk from the Louvre to Concorde in ten minutes, yet there is a metro stop inbetween. If the Moulin Rouge is on your list, it will no doubt be at night so you can visit Montmartre and the Sacré Cœur before the show. If you stay in that area on your first visit to Paris, you’ll be spending quite a lot of time on the metro, often at peak hour, if you want to see the other sights. The same applies to staying near the Eiffel Tower. You certainly won’t be able to walk everywhere. Now look at the metro map. You’ll see there is a yellow line (n° 1) running west from Nation, through Bastille and along the Seine to Concorde, with Notre Dame, the Louvre, the Tuileries and Orsay museums along the way. It then goes underneath the Champs Elysées to the Arc of Triumph (Charles de Gaulle-Etoile). From line n° 1, you can get to most other places in Paris with a single metro connection. There is a second red line (RER express line) that also runs from Nation to Charles de Gaulle via Opéra where the big department stores are (Galéries Lafayette, Printemps) that you can use to go quickly from one point to another when your destinations are further apart. Several buses run along the Seine, in particular bus 72 from Hôtel de Ville down to the Eiffel Tower. Bir Hakeim bridge probably affords the best view of the tower which is at its most attractive when it’s scintillating at night. My personal experience from living in Paris for many years is that staying in the 1st or the 4th arrondissements, on the right bank, within a 10 minute walk of metro line n°1 is the most convenient solution as you will be able to walk to most places and take a quick trip on the metro to others. The 1st is more central and the 4th is more atmospheric. You may have to pay a little more for your hotel, but you may find that it’s worth it in the long run particularly at night as you will have so many restaurant choices within walking distance, on both sides of the Seine, and you can stroll along the river afterwards. If it’s typical French ambiance you’re looking for, rather than sightseeing, you may prefer the 5th or 6th on the Left Bank, which are touristy but lively. If you want to be off the beaten track but still get the feel of Paris, go for the 10th, 11th, 17th or 20th. And if you’re on a tighter budget, add the 18th and 19th, with access to a park like Buttes-Chaumont or around the Canal St Martin for instance, which is more ‘normal residential’ and very popular with trendy Parisians at night. You are still only a few stops from the centre and won’t spend too much time on the metro. You might like to check out Lisa Czarina’s post on Young Adventuress for more details about each arrondissement, particularly if you’re in your twenties. And if you have more than a couple days up your sleeve, you might like to consider renting a typical Parisian flat, a barge on the Seine or airbnb (for useful tips see Simply Sara Travel’s post on choosing the right accommodation). And while you’re in Paris, why not take a side trip to the beautiful Loire Valley with its many châteaux. You can even do it easily without a car by staying in Blois. Click here for more information. Enjoy your trip and do let me know if you think this post is useful by liking it on facebook. Also, don’t forget to read the comments as well as they contain some very useful suggestions. This entry was posted in Accommodation, Paris, Sightseeing and tagged accommodation in Paris, sightseeing in Paris, where to stay in Paris. Bookmark the permalink. If you are on a budget I think staying centrally is not value for money. I would recommend staying in the 18th, 19th or 20th, somewhere with access to a nice park like Buttes-Chaumont or around the Canal St Martin for instance, and more sort of ‘normal residential’. You are still only a few stops from the centre and are really not spending all your time on the metro. What you spend in metro tickets will be less than what you spend on more central accommodation. I would include the Cluny in the ‘must see’ museums. Thanks Susan. I shall add that to the post. I agree that Cluny is “must see” but I doubt if many first timers would go there, particularly if they only have a few days. I dunno — I did :-)) The Lady with the Unicorn tapestries are the star attraction, but the whole collection is outstanding. Frankly, I would ditch the 19thC stuff and concentrate on the stuff I couldn’t see at ‘home’ in the US or Australia. As you know, even after multiple visits to Paris I still haven’t been to the Orsay :-). I have been to the Sacré Coeur (and it’s ghastly — of course you have to go and see for yourself though, and the view from the steps is worth it, even if the whole area does stink of urine). The Orangerie is wonderful though, and is a nice exception if you want to dip into the 19th C. Never been to the Moulin Rouge and probably never will — it strikes me as quite touristy gimmicky, plus I can rarely be convinced to go to a live performance. I don’t know if you really fit into the normal pattern of first-time visitors to Paris :). I’m going to do another post suggesting alternatives to what people usually think are the star attractions and will definitely include Cluny which is one of my favourites too. I don’t think I’ve had a first-time visitor from Australia in recent years who didn’t want to go to the Moulin Rouge! It seems to be part of an Australian myth. I’ve never been there either. I suspect Baz Luhrmann is at least partly responsible for the Australian interest in the Moulin Rouge, so after my time and I’ve never seen the movie. Yes, I think so. It’s after my time too. I am from Australia and came to Paris in 2012 and didnt go to the Moulin Rouge. I have no interest in it. My daughter went for the first time in 2011 she didnt go either and My son went in 2013 and didnt go. My mum has been to Paris 4 times and never been to the Moulin Rouge. I have no intention of going to the Moulin Rouge when I return to Paris either. To many other far more interesting things to do. I agree, Susan ~ The Orangerie is a beautiful surprise. Finally went there for the first time on what was my sixth trip to Paris this past June. Monet’s Nymphéas was my principle reason for going, but I enjoyed the Guillaume collection and a fab exhibition of Italian impressionist art that has since closed. Yep, I’m one of those who luv 19th c. art ~ so it was good to find another place to roam besides the Orsay. I went to the Moulin Rouge on my first visit…loved it 🙂 but found it difficult to get home afterwards..pity. Accompanied two friends to the lido last time .. (Didn’t need to do Moulin Rouge again.. )Food good, show room lovely , but I enjoyed Moulin Rouge show more…..
Also took myself off to Orsay….loved it. Could not believe how massive’ Dejeuner sur l’herbe’ was! I Ve holidayed in Paris 6 times, haven’t checked out Cluny , but lurk around Carnavalet every time! And lucky last..Sacre Coeur/ Montmartre . Definitely an awesome view … and definitely extremely touristic….wouldn’t miss it for the world!! Go back every time:). I love my little Paris bubble ;). The thing about the Orsay collection is that it travels a lot, so I have actually seen substantial portions of it — just not in the museum itself. Yes, it does travel a lot. I haven’t seen it since it has been re-organised. Everyone’s Paris is different, isn’t it? I have met many people whose favourite church is Sacré Coeur. I remember seeing the smaller, earlier version of Déjeuner sur l’herbe in London the first time and was even more amazed when I saw the larger, more recent version in Orsay. Where did you stay on your first visit? Was it a good choice? For once (une fois n’est pas coutume), I don’t agree with everything in your post. 🙂 I do walk a lot in Paris but, no matter where I’m staying, I take the metro into the area I’m focussing on that day. Even for two stops – because I know I’ll be walking a lot when I’m there. I mostly take the metro – but when I show tourists around, we also often take the bus, because you see more. I have found that my visitors prefer staying in a residential area (think in the 15th, the good 17th or Buttes Chaumont, for example, or around Canal St. Martin – which has apparently turned into the trendiest area of Paris for Parisians) to get the “real” experience and to come back to a “typical” and not a touristy area after the sightseeing. It’s also significantly cheaper. Personally, I often stay with friends and will then either stay at Barbès (a whole other cultural experience, which I treasure because I lived in Africa for a few years and feel right at home in these surroundings *g*) or sometimes at Convention, although the North of Paris is “my” turf and my son will be moving into my old apartment near Simplon/Marcadet in a few weeks. I tend to group the sights by area, too – so yes, we’ll do one day (or rather an afternoon and evening) in the North with Montmartre, we visit Sacré Coeur, walk around Place du Tertre and then either have crêpes at the Tire-Bouchon or walk down the stairs off Place du Tertre and eat in the small streets down there. Then there’ll be a day with Notre Dame, Cluny (which especially Americans want to see), the Sorbonne and maybe Jardin du Luxembourg (BTW we had a very nice South-American lunch the other day (at 3 pm! ), rue St. Jacques, between Notre Dame and Cluny, the place is called El Sol y la Luna – nice, good and very reasonably priced, can only recommend it). Another half-day with Beaubourg and the Marais, preferably on Sunday because of the pedestrian zone, maybe the Picasso museum… I have never had any of my visitors (mostly Americans, Brits and Germans) ask to see the Moulin Rouge, maybe it’s an Australian thing? Jim Morrison’s grave was requested a couple of times, though. *g* If they only want one museum and have no preference, I usually insist on Orsay (or the Louvre when there are kids.) They always want to see the Eiffel Tower, so we usually do this on the first day (on foot and only to the 2nd level – saves a lot of time and also some money) and combine it with the Bateaux-Mouches, so we can rest after the climb. When I’m in Paris on my own, I’ll see friends, work a little and schedule one museum or exhibition per day. Now that my son is moving up, I’ll probably be there more often and am looking forward to that! Pat I absolutely agree. When we stay in Paris it is almost always somewhere that is literally across the street from a metro station and within a block of Parc du Buttes-Chaumont. Especially for coming home at night, having your accommodation near the metro is ideal (and why staying in Montmartre is always a bad idea, especially if you are up hill from the metro station). I’ve stayed in very charming apartments in other areas, but if it is more than a block to the metro, it is surprising how much that impacts on your coming and going. And like you we use the metro to get to an area, concentrate on that, then come home. It’s not like you spend hours underground and metro-savvy is a useful skill to have up your sleeve. We’ve used the buses a bit, and if I lived in Paris I would definitely use them. For short trips I don’t think the buses add much, but for residents being able to navigate above ground is important. I’ll be able to incorporate all this information into a second post. You don’t think the bus makes you more familiar with the city than the metro? For short touristic visits I’d rather walk to orient myself. I see more that way and it sinks in. Oh dear, that is definitely a handicap! In Barcelona, we only took the metro once and took lots of buses (though admittedly JM looked after that). We got to see details and neighbourhoods we wouldn’t have seen otherwise, but I would have preferred, for a first visit, to be able to go everywhere on foot. In Paris, we either walk, even quite long distances, or take the bus whenever we can. When I lived outside Paris intramuros, I spent hours every day on metros and RERs to go to uni on the other side of the city, so I came to hate them, which explains the bias of my post! Hi Pat, I can see I’ll need to do a part 2 to this post! I was actually aiming at first timers because when you come back to Paris a second time, you’re already familiar with it. Would you still give the same advice to someone on their first visit? There’s a film called “Moulin Rouge” with Australian actress Nicole Kidman that most Australians seem to have seen. Along with Amélie (Le Fabuleux Destin d’Amélie Poulain) starring Audrey Tautou, it has made Montmartre very popular among Australian visitors to Paris. I’ve seen Moulin Rouge, actually (I even have the DVD *g*), but nobody ever asked for it. Yes, I would give the same advice to a first-time visitor, although it depends on what they want. If they want to see the sights and eat good French food and have limited time, then maybe it doesn’t matter. But I find that most of my overseas visitors want to see how the “real Parisians” live, and prefer staying in a residential area with a local fromagerie, boucherie, boulangerie and newsagent. I don’t know, I think it makes them imagine they could live there, too. As for bus vs. metro, I tend to take the metro in the morning, to get to my destination as fast as possible, and then either head back by metro when I’m tired or sit on the bus when I have more leisure. When we were in Barcelona in February, we stayed in a purely residential area and had very nice interaction with the local residents and shop-salespeople who were not used to tourists. Very satisfying. And we took the metro or the bus, according to what brought us closer to our destination. Thanks, Pat. We found we were slightly too far from the centre in Barcelona for a first visit. I guess people look for different things. I’ll write a second post reflecting what you and Susan have said. How do I book the barge you stayed on in Paris?? Hi Shelley, I’ve sent you an email with the details. You need to go onto the airbnb.com website, then Paris and key in houseboat. All these comments are so interesting! Agree with Rosemary about staying in 4th. We always stay in a small apartment on a walking street off B. de Sebastopol (near r. de Rivoli end), in 4th. It’s cheaper than many hotels and equipped with kitchen, washing machine, free wifi etc. From there we can walk easily to Marais, Palais Royal and Louvre, the Tuileries or to Ile de la Cite and Notre Dame/left bank. Also walking distance from fabulous food shops of r. Montorgueuil. It’s about four minutes walk from the Pompidou Centre and Stravinsky fountain. Our local metro is Chatelet. In recent visits we’ve avoided using it as it must have the longest connecting underground walkways in Paris (also lots of stairs, up and down along the walkways). We now either walk or take a taxi. In central Paris, taxis are generally surprisingly economical, we rarely pay more than 12 euros per trip (avoiding rush hour). Have never been tempted to go to Moulin Rouge, though a Baz Luhrman fan and I loved the over-the-top movie. On walk down from Montmartre late one day we stopped to watch a series of coachloads pour in. So many, one after the other, don’t know how they all fitted in. But v expensive and not our kind of thing. Having been to all major art museums several times, unless there’s a special exhibition, we generally now visit smaller more off the beaten track places, like the Nissim de Camondo or the Jacquemart Andre, or the Delacroix, all definitely worth seeing if it’s not a first trip to Paris. Of course, agree about the Cluny as well, wonderful! Next time we’ll probably go to Cocteau house. Hopefully Picasso museum might have re-opened later this year? We never go to more than one museum in a day. If you love art and French history it’s wonderful to be able to spend time absorbing and enjoying and not rush through. We generally spend three weeks in Paris so leave ourselves plenty of time – also plan our visits to be there during the June sales, all part of the fun Paris experience. Thank you for your comment, Pamela. I’m sure it will be very useful for readers looking for where to stay in Paris. My personal experience of Le Grand Colbert is not very positive, but friends who went there recently really enjoyed it. The setting is certainly very beautiful. What a wonderful experience! Thanks for sharing. Like your post. Can you please send me contact info for the apartment that you rented….is it if enough for a family of four. Thank You! I’m afraid I can’t help you because I’ve never rented an apartment myself. Maybe another reader will answer. As always, lots of useful information in your post and the comments, Rosemary, thank you! Having been to Paris several times, and only for a few days each time, I am now hunting for a home exchange there for a few weeks in May-June this year. I have sent out over 70 requests via the home exchange websites I use, but with no success so far! Maybe someone in Paris or surrounds who reads your blog would be interested in swapping with me – my apartment by the beach in Sydney, all mod cons. Failing that, I plan to find an economical apartment to rent for a few weeks, get to know the area and soak up la vie Parisienne! Hi Gara, thank you for the positive input. How frustrating to have sent over 70 requests for a home swap and still not have an answer! Is it the time frame that poses a problem? There is a new French blog on homeexchange.com that might be helpful. Which sites are you using? I have done several very successful exchanges to the UK and also within Australia. It’s a great way to have holidays when one is retired and has a lot more time than money! I particularly love staying in the one place for a month or so, getting to know the local cafes and shops, and making forays out into the countryside and having a ‘home’ to come back to. Hi Gara, I do hope you are more successful soon. 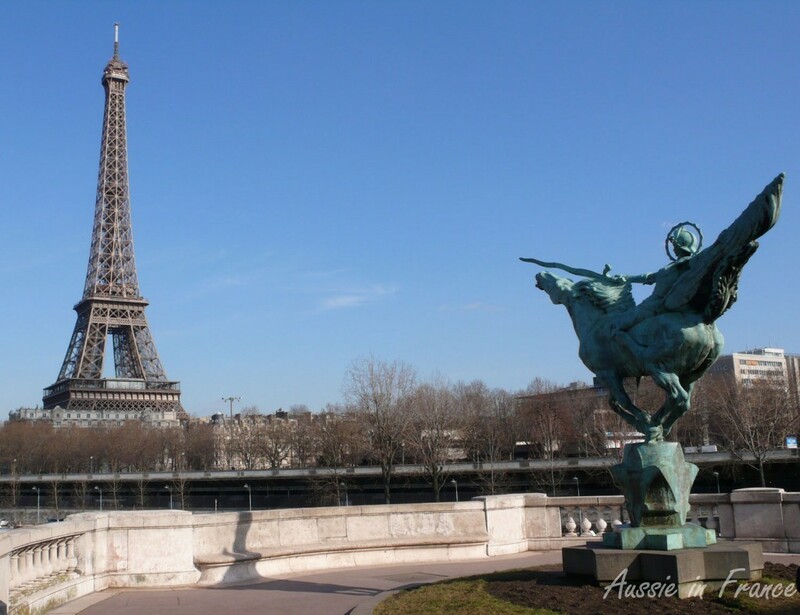 This is a really useful post for first time visitors to Paris. In all my years as a European travel consultant, ‘where should I stay in Paris’ is one of the questions I was most often asked. Personally, I have stayed in the 11th, 5th and 1st. 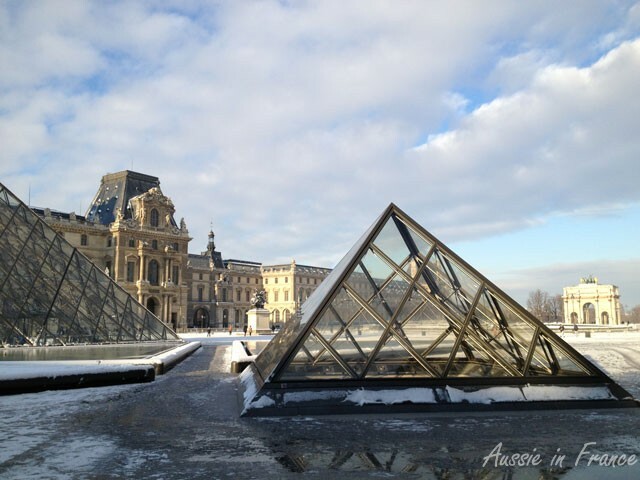 They all had their own charm and were close to metro stations but as we generally prefer to walk in Paris, we also found these locations close enough to what we wanted to see. I’d have no hesitation in staying in any of these arrondissements again, and I’d happily try the 4th. Having said that, there is a hotel on Avenue Kleber, close to the Arc de Triomphe, that I’m dying to stay at. Maybe the night before I fly out of Paris next time will satisfy that whim! I think you’ve pretty well summed up the major attractions that most first-time visitors to Paris have on their list, too. For short stays (2 or 3 days), I’d definitely only do one museum and my preference is the Orsay. Yes, the Louvre is great but with less time, the Orsay is smaller and still gives you the chance to appreciate lots of priceless works of art. I always encouraged people to try and extend their stay to include a visit to Versailles, too – it’s well worth the trip. I’ll definitely be sharing this post with my readers as I think they will find it extremely helpful. I’m glad you find it helpful, Carolyn, and thanks for sharing! I agree with only doing one museum during a short stay and my perference would be the Orsay as well! We are planning our honeymoon in Paris and would love to know the best area to stay. We will be in Paris for about 10 days. Where would you suggest? I have been to Paris once in 2003 however, my cousin was studying there and basically was my tour guide so I really did not have to think of much planning. We would like to see it all!!!!! And would need one day to go to Disneyland Paris. Hi Liz, how lovely to have a honeymoon in Paris! You haven’t mentioned the time of the year. I would still recommend the 1st or 4th as you’ll be able to walk everywhere particularly in the fine weather. To go to Disneyland, you take the RER train from Châtelet-Les Halles which is right in the centre of Paris (info here about booking through the Paris tourist office: http://booking.parisinfo.com/). Is the Opera Quarter East a good place to stay in the 1st? Opéra is in the 8th rather than 1st. It’s a bit further away from the Seine, in a business area rather than a tourist area. What are the main things you want to see? November is starting to get quite cold and a lot of the leaves have already fallen, but it’s not bitterly cold as it is in January or February. Where do you come from? I stayed in the Opera area and would definitely stay there again. We walked to a lot of places from there, the Louvre, Notre Dame, Pantheon, Sorbonne, Hotel de Ville and almost to the Eiffel Tower though that was a extremely long walk. We had a lot of restaurants nearby and a 2 minute walk to the metro. We were also 5 minutes walk from a small supermarket. How is the Champs Elysees – Arc De Triomphe Area? What is number is that District? We are coming from New England in America so here in November it is about 40-55 degrees Fahrenheit so jeans and a sweater or light jacket weather. We are planning on going to Disney World in Florida first and then going to Paris after. If you go to Priceline – they have what you call express deals. This is where you can pick dates of travel and only specify the star requirement for a hotel and then you have choices of approximate locations of the hotel. It can save you a fair amount of money doing it this way. The downside is that you do not know the name of the hotel until after booking. Thank you for the link that you sent. That site is amazing and will be very helpful in planning. The Arc de Triomphe and Champs Elysées are quite far from the other sites. If you don’t mind taking the metro a lot, it doesn’t really matter where you are. If you like to walk, however, it’s better to stick to the Louvre, the Marais, the quartier des Halles, or the Latin Quarter. But that, of course, is my personal choice. You are spending 10 days here so the location is probably less important. Great again thanks so much for the information. You have been so helpful. Saint-Germain seems close to the Latin Quarter and out of the three is a better location correct? One more question what is the number one restaurant on your list in Paris? You’re welcome. Saint Germain is close to the Latin Quarter and to the Seine. I think you would enjoy its location more than the others. What is the number one restaurant on my list in Paris? That’s a tough one. I think I would say that overall, Carré des Feuillantes http://www.aussieinfrance.com/2012/04/birthday-lunch-at-carre-des-feuillantes/. It really does depend what you’re looking for and what you like. The “grandes brasseries” in the Flo and Frères Blancs chains usually appeal to foreign visitors. La Fermette Marbeuf, just off the Champs Elysées has a magical setting (you have to ask to sit in the main room). I shall ask the question on Facebook. Any place specific you could recommend staying at in Le Marais? I’ll be travelling with a 14 year old. Don’t need spacious or fancy (or expensive), but character and charm would be nice! Merci! Thank you Rosemary!! : ) We’re so looking forward to our trip. 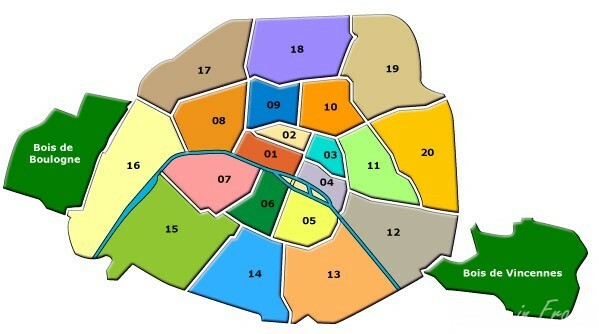 I’ve also been told that the 10th is a good area, and a bit less expensive than the Marais. Just a little further out from the centre of things. Hello again. I don’t have any addresses in 10th but Susan (see comment above) recommends a hotel in the 19th. “The hotel we stay at is Hotel le Laumiere, just a few steps away from Laumiere métro. They are about €80/night ex-breakfast. The rooms are small but adequate, beds comfortable, pillows variable (all the beds have traversins, which are a nuisance) bath towels adequate. Bathrooms OK, a bit bricoleur. The rooms on the garden side are slightly more expensive and quieter. The family who run the place (two sisters and their husbands) are very nice.” She has blogged about them on http://daysontheclaise.blogspot.fr/2008/05/our-corner-of-paris.html. I suggest you go onto the Fodor’s forum is you’d like a recommendation in the 10th. Hi Karen, I’m also planning a trip with a 14 year old. Can you let me know how your accommodation was esp for safety etc. Let us hope that Karen will soon get back to us! Hello, thank you for commenting but I’m afraid I don’t recommend hotels. First, you need to determine the area you want to stay in then google hotels in that area. You can also ask questions on Fodor’s Travel Forum and Trip Advisor. Sites such as booking.com are also very helpful. If you’re looking for an apartment or a share, you can try airbnb. HTH. Rosemary, This is a wonderful blog & the information is so helpful. My husband & I are planning 12 days in Paris in October & will take all your advice on board. I’m worried that I don’t have one French word in my vocabulary & that we’ll struggle getting around especially on the metro. How straightforward is it to understand? This is our only destination so it will be disappointing if it’s stressful travelling around. Hi Jane and thank you. I’m glad you find it helpful. There has been a lot of improvement in recent years in helping foreign tourists find their way around Paris and the metro. It’s really very easy – all the lines are assigned numbers and colours and the directions always indicate the number and the last station on the line. You might find this post helpful: http://www.aussieinfrance.com/2013/07/52-diet-navigating-the-metro-double-giratoire/. As Petite Paris explains, you can buy 10 tickets at a time (un carnet) and use them on any line, including changes which are called correspondances. Waiters in restaurants and bars now speak English though not always with the “niceties” we expect. Sometimes they just don’t realise they are being abrupt! The ticket sellers at all the museums speak English as well. Even the large stores such as Galeries Lafayette will find you an English-speaking assistant. Always start with “Excuse-moi, do you speak English” and I think you will find that they will be more than cooperative. Let me know how you get on! What about a couple who wants to marry to 7, rue Georges Bizet / 75116 Paris ? Where do you suggest us to stay ? we ll also have our kid one year old with us . Someplace value for money , safe and artistic ? Hi Vasilis, I’m afraid I can’t give you any help with specific hotels. However, if you go onto Fodor’s travel forum and ask your question, I’m sure you will find lots of suggestions. i am not searching for hotels but the location that fits to the criteria i mentioned above. I’m sorry, Vasilis, I misunderstood your question. The artistic areas of Paris are traditionally the Latin quarter, Montparnasse and Montmartre, all of which are quite expensive as far as hotels go. The place you are getting married is easy to get to in the metro, so you don’t have to be located nearby. Why don’t you try airbnb for an apartment? That would be easier with your baby as well. I suggest you try to 5th or 6th arrondissements as they probably correspond best. Most of Paris (inside the peripheral highway) is safe, except for pickpockets. You should make sure that you carry a money belt and watch your belongings at all times. And don’t be tricked by young girls saying “speak English?” or people asking you to sign petitions. Just keep going. Hi Mel, what sort of thing are the boys interested in? I think they might like the area around La Villette/Stalingrad (10th arrondissement) which is very trendy these days among the younger generation and would be much cheaper than the Latin quarter. There is a metro from Stalingrad to avenue de l’Opéra and the Louvre for example. I have another suggestion they might like as well – the ThatLou treasure hunts which are an excellent way to visit a museum http://www.aussieinfrance.com/2013/10/death-hunt-with-thatlou/. As it will be December, the days will be short (light at 9 am and dark at 4.30 pm so you’ll spend more time in the metro than walking around the city. Thanks again for your helpful comments. Really appreciated! You must love it there! We’ve just moved out of Paris actually and are now living in Blois in the Loire Valley! The Grand Palais is open for ice skating again at Christmas. It should be a truly wonderful experience. Best to buy on-line tickets beforehand: http://www.legrandpalaisdesglaces.com/achetez-vos-places/ (if you can read French). I’ll help if you need to know more. Let me know how it goes. Your 18 year old might like the outlet stores: http://www.aussieinfrance.com/2012/05/outlet-stores-in-paris/. Check ahead to see whether they have the sort of stores he’s looking for though. There is outdoor ice-skating in various places particularly near Hôtel de Ville they might enjoy if they already know how to roller skate. There’s a very interesting science museum at CNAM in the 4th if they are mechanically or scientifically minded. Make sure you have layers you can peel off when you go inside a café, for example, because they are always overheated in the winter. The big ferris wheel will be stationed at Place de la Concorde – they should enjoy that. Hi, Mel ~ Strongly agree with Rosemary’s recommendation of the 10th arrondissement. I stayed there a year ago, in an area not far from the popular Canal St. Martin ~ where you will enjoy strolling (and eating) at some length. You’ll find good restaurants and bakeries and a laid-back atmosphere. I’ve heard the Canal is one of THE places in Paris for rollerblading on Sundays, something your sons may want to indulge in, weather permitting. You guys are AWESOME!!! Thanks so much. All excited now! Excited for and with you, Mel! Hope you will share about your family’s great time in Paris here at Rosemary’s when you return . . . would love to “hear” it! Hi Melodie and thank you for your suggestion. There will be ice-skating at the Grand Palais as well they might like to see as well. http://www.outandaboutinparis.com/2012/12/its-winter-wonderland-ice-skating-at.html. Will definately check-in when we return. Thanks again for your help! Fantastic, Mel . . . enJoy! Don’t mention it, Rosemary ~ How else are we going to find out how Mel applied all of these ideas to her winter adventure in Paris? I love staying in the central part of Paris – I walk everywhere and get to see many sights in just a few days – and still have time to stop and watch the world go by. Definitely my pick as well! Central part is considered to be 1 and 2???? Remember you’re dealing with a complete novice!!!! Sorry I haven’t answered this. Central is 1, 2, 3 and 4, but particularly 1. Thanks so much for this information. It has been invaluable this evening in trying to work out where to stay. I have found two hotels that I am interested in. One is in the 5th District (http://tinyurl.com/lotuwhy), and another is in the 11th (http://tinyurl.com/lsa7k7t). I was wondering, the one in the 5th is not as highly rated as the 11th; do you think that the district being more central is worth the sacrifice? We don’t mind using the metro sometimes but I guess not all the time as we’ve only got two days in the city before heading out to Disneyland. I’ve been here before but my girlfriend hasn’t so we will have to do all the touristy things which I’m perfectly happy to do again! I’m glad the information has been helpful. Choosing between the two is not easy. The 5th is more in the heart of things but the hotel doesn’t look too wonderful (well, certainly not as good as the one in the 11th). The metro connections are better in the 11th (you can walk to Nation which is on line 1). It really does depend what you want to see and what time of year it will be. Perhaps you can give me some more information to help you choose. Damn I deleted my reply, sorry if going to provide a synopsis ha. My girlfriend is not into museums so much I dont think so probably only one and then the Eifel Tower and l’Arc de Triomphe, Monmatre, Le Sacre Coeur, Notre Dame. Ease of access to travel is probably the most important thing as those areas are rather spread out I believe? I really don’t know, I’m so excited but feel like there’s loads more to see and do but I’m missing or forgetting things I’d like and then may be we wouldn’t have access to them from where we would stay or something, feeling overwhelmed with choice ha. Thanks so much, this post has been so helpful. Wondered if you could give me even more of an insigth…I’m visiting Paris in Jan 2015 from London (so the cold I am use too lol) for a fashion internship. I’m in my early 20’s, and my job is located on Avenue D’eylau near the Trocadero. But I have heard it can be a bit of a ghost town after dark for anyone under 35! lol Any recommendations in terms of area I can stay in that is A) safe as I will be a lone female traveller, B) affordable C) Easy to commute to work D) Lively enough that I won’t get bored in my spare time. Hello Devina. Yes, Trocadero is not exactly where it’s happening for young people. I think it would certainly be worth travelling for 1/2 hour on the metro and stay in the 19th, for example. I often visited my daughter at night when she lived on Faubourg Saint Martin and was never worried coming home at midnight. See what you can find around Jean Jaurès metro. There’s plenty going on there. Another possibility is Bastille. You can use the RATP website to find how to commute from one place to the other: http://www.ratp.fr/en/ratp/c_21879/visiting-paris/. 1) What would be your recommended place/area to stay? 2) Is it advisable to bring along a stroller? 3) Any precaution to take as I'm bringing my 3yr old son? 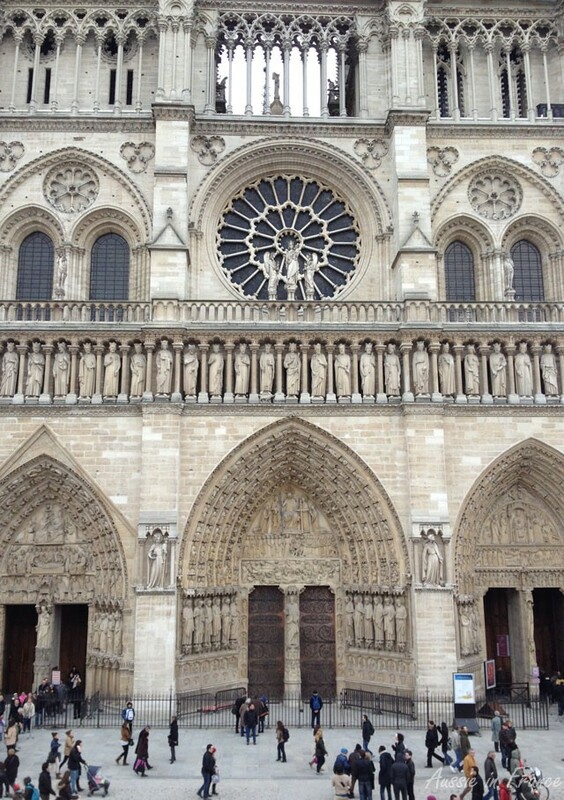 4) Given the number of days, where else would you recommend I include in my itinerary besides Paris? 5) Is there any land tour available that I can consider? Hi Kelvin, I’m afraid I really have very little experience travelling in Paris with a toddler. I suggest you go onto the Fodor’s travel site and their European – French forum where I’m sure you will get lots of answers to your questions. From what I have seen, there really aren’t any areas within the boundaries of Paris that are not safe. A folding stroller would probably be welcome if your 3 year old isn’t used to walking a lot and you can take it on the metro with you. It’s still pretty cold in March and it could be rainy. If you want to visit somewhere else, the Loire Valley is a good option. You could take the train to Amboise or Blois, for example. I suggest you get an apartment rather than a hotel maybe close to the Seine so you can walk along the river bank and show your toddler the barges, etc. I hope that helps! Like everyone, I’m loving the information I am reading! I am going to Paris in July (almost for all of July – yay!) and just wanting to find the best place to stay given I am travelling on my own for most of it. I have read what you have said above so it seems that probably the 1st or the 4th is the way to go (I’m after something central (I want to be able to walk to most things on the top tourist list), safe etc. I was hoping to spend about $220 per night but is this realistic (maybe I am being unrealistic but I would like to get a relatively nice room but don’t want it to cost the earth). Hi Emily, why don’t you see if you can find a room or flat through airbnb? Thank you for such an informative post on where to stay in Paris. It’s the first one that came up when I typed the question into google and I now feel equipped to create a short list of hotels on Trip Advisor. Keep up the great work… I’m off to see where else you’ve been! Hi Lisa and thank you for the encouragement. I never imagined with I wrote the post that it would be so popular! I’m sure it would be difficult to nominate best areas as I couldn’t here in Melb. I am however concerned about the amount of times I hear the word pick pockets etc. Is this really as prevallant as they say? If we stay in the 1st arr do you think as a family we wont be thinking why didn’t some one say stay in 6th or 7th this is heaps better? Finally thanks for your effort to enlighten it has been informative. Hi Darren, you won’t be pickpocketed if you are careful. It’s really just a question of watching what you’re doing and making sure all your valuables are safe. When I see how careless some of the tourists are, I’m not surprised the pickpockets pounce on them! I’d love to have some feedback. Hi Denise, then you might like to stay in 4th arrondissement. That way you walk to Cluny and Pompidou and take the metro or a bus to the Eiffel Tower. My wife and I are heading to Europe in October (from Sydney). We will be spending about 10 days in Paris during that time. I’m thinking of renting a home/place from Airbnb and I’m trying to work out which area is good to stay in Paris. I’ve narrowed it down to either Montmartre, St Germain or Marais. I was originally leaning towards Montmartre because it seems “village-like” from the photos I’ve seen. However, having read some of the comments here, it seems like that may not be the best idea. Any advice as to which area would be good for a couple in their early 30’s who enjoy art and food? Hi, I personally think you would enjoy the Marais best of those three. Montmartre is really only village-like for the people who live there permanently, from what I hear. By October, it will be starting to get a bit chilly and the days will be much longer so the Marais would probably have the most activity in the evening. Make sure you go to the Carnavelet Museum http://www.aussieinfrance.com/2013/05/musee-carnavalet-an-exceptional-museum-in-paris/. Enjoy your trip and I’d be interested in feedback. My husband and I are going to Paris from September 18 to 26th. Only two weeks away and we haven’t booked our accommodation yet! It will be our first time there and normally we have no trouble with booking but Paris seems to have so many options and so many caveats that I am at a loss what to do. Would a B&B on a metro line on the outskirts of Paris be a feasible option? Many of the city hotels we have seen are too expensive or suffer from variable reviews. We negotiated Tokyo without to much trouble, surely Paris couldn’t be worse, so place on the outskirts might be better?. With the AUD at the moment costs seems to be escalating daily for us and we will be going south after the Paris stop. It would depend on the where you are. If it’s on the metro (as opposed to the RER line), you should not have any problems. However, if you are on an RER line, you could find yourself doing a lot of travelling. You can find out distances by typing in the destination on the RATP website which is also in English http://www.ratp.fr/en/ratp/c_5000/accueil/. I would suggest that you avoid travelling during peak hour if you start out of the centre city or you’ll find yourself squeezed in with the commuters. As we have stayed in Paris on 3 occasions we thought our next trip in June we would like to stay outside of Paris, maybe the Loire Valley. We could still come into Paris quite easily by train a couple of times. I noticed that you reside in Blois so my question is would there be enough to do in the Loire area for one week? Would we be able to visit the various towns and chateaux etc using trains or buses? What would be the best town to use as a base? I think that you would find there is more than enough to do in the Loire for a week. I think Blois is a good place to stay. It is 1h23 minutes by train to Gare d’Austerlitz. There are not a lot of trains each day, but there is an early direct train and several to come back on. There is a sort of hop on hop off bus from Blois to Chambord, Cheverny and Beauregard. You can take the train to Amboise or Tours and from there to Chenonceau. I’ve been meaning to write a post about visiting the Loire Valley without a car for a while and your question has encouraged me to get on with it! We are planning a trip from Melbourne with out 4 children (ages will be 15, 13, 11, 10) for June 2016 – any suggestions on where to stay for 6 people? They will want to see the usual sites as you have listed above and then just wonder around and absorb the city. We will spend about a week in France and then possibly getting a car to travel into the countryside. Thanks for any assistance that you can give. Hi Annette, you should probably go for an apartment rather than a hotel (through airbnb, for example). You could maybe even think of a home exchange. I would avoid having to spend too much time on the metro and make sure there is a park around the 10 and 11 year olds to run around in. My suggestion is that you go on Foder’w forum and ask people with child travelling experience what they could suggest. Have a lovely holiday! Going to Paris and we are planning to visit Loire Valley in Oct 2016. Hope you can give tips for first time visitor to that area and yes how to travel without a car and best area in Blois to stay. Thank you. Also suggestions for day trips from Paris. Is 3 days ok for Loire? As we are spending more time in Paris and want to visit Lourdes. Is it easy to drive around Loire to find the castles , or better to join a tour? Hi Marie, I have just added a link on visiting the Loire without a car and staying in Blois: http://www.aussieinfrance.com/2015/10/visit-the-loire-without-a-car-based-in-blois/ which I think should help. I would say 2 nights is a minimum and 3 nights is comfortable. It is very easy to drive around the Loire. The châteaux are well signposted and parking is easy. If you don’t hire a car, then just make sure you are staying within walking distance of the train station. That is where most of the accommodation is anyway. If you have a car, it is of less importance. There is free parking in Blois along the river when the hotel doesn’t have its own parking. I am hoping to buy a flat in the centre very soon to rent out to tourists but can’t guarantee at this stage! Our 16th century house, Closerie Falaiseau, is available with a minimum stay of 3 nights but you would need to hire a car. http://www.closeriefalaiseau.com. Thank you for your blog, really useful information you give us travellers. One question … how is it to bike in Paris? The Vel’ib bikes are all around Paris and everyone uses them. There are often bike lanes and, on the whole, the motorists respect the cyclists. I am visiting Paris for a 2 days 1 night trip (reaching early morning and leaving next day night. I will be with my friend and are in our mid 30’s. Can you suggest a reasonable place to live (we don’t mind hostels) and must visit places that we should cover in the 2 days that we have? I’m afraid I can’t help with accommodation. Your best bet would be to go to the Fodor forums and ask. You’ll get lots of helpful replies. Enjoy your stay! I was recently staying in Paris at Basile’s place (https://www.airbnb.fr/rooms/5224070?s=C451mMXC) and it is an amazing place which I recomend warmly!! It was an amazing stay and I will go back to Basile’s place soon! Thank you for the suggestion, Frank. It’s always good to have recommendations. I am planning on traveling to Paris during the Christmas holidays. I cannot depart before the 18th of Dec and must be back home by Jan 4. I’ve traveled a great deal internationally but have not been to Paris. I plan to stay 8 or 9 days and would like advice on the best area to stay. Having read comments above still wondering central or further out, especially since I am traveling during the winter. Any suggestions would be much appreciated. BTW, I am a 68 yo female traveling with a male companion. I am in good health, but not as robust as I once was, sigh. Hello Sandra, sorry to have taken so long to answer but life keeps getting in the way! Especially in winter, I would opt for being in the centre and I would make sure I have a comfortable hotel or, even better, a B&B or apartment with good heating. Night falls early in the winter (5 pm in Decemmber) so it’s nice to have a comfortable place to relax in but is also handy to the places you want to go. Hi. Interesting read with all the tips. Quite like Sandra, I’m stopping over in Paris with family (incl teenage kids) for 3 nights during the week before christmas. First-time visit for them. Main places of interest to visit I think would be Eiffel tower, river Seine,Louvre, Champ Ellysee, Gallerie Lafayette, St Rivoli. Am thinking of staying at either Tourisme Avenue or near Best Western Sydney Opera. Maybe Hotel Acadia. Any comments / advise, please? Cheers, Zul. Hi, as far as location goes, I would choose the Best Western Sydne. Opera which is . Tourisme Avenue is not on a convenient metro and Hotel Arcadie (is that what you mean?) is in the 14th which is too far from any of the places you are interested in. Even better is the Best Western Paris Louvre Opera as far as location is concerned for the Eiffel Tower, Seine, Louvre, Champs Elysées and Rue de Rivoli. And you can easily walk to the Galeries Lafayette from there. It’s also an historical building where Toulouse Lautrec used to live. Thank you for the really interesting post and all the comments! I’m looking at booking a trip for me and my two sisters (ages 17 – 26) in April 2017. Coming from the UK and flying into Charles De Gaulle airport. We are considering staying at an air b and b apartment a few minutes walk from The Louvre. Does this seem a suitable location? We want to visit Notre Dame, Eiffel Tower, and have places to go out for food on an evening. And potentially take a day to visit Versailles. Also can I have some advice on travelling from the airport into Paris and travelling around Paris when we get there? Can I book tickets for the train/metro before I leave? Also one final question regarding food options. I’m vegan so I eat no animal products, will this cause me problems when eating in Paris or do you think there will be a decent amount of options for me to eat. Hi, glad you find the blog interesting. Here is information on the metro: http://petiteparisbedbreakfast.blogspot.fr/2013/07/back-to-paris-basics-navigating-metro.html. Don’t forget the buses either. I have not heard of any official sale of local train or metro tickets. Just make sure you have a debit card that works in France (visa is big here). Considering your ages, I think that you might like to find an air b&b in a more fun area, particularly at night. We have just stayed near République/Canal Saint Martin and thought the area looked really cool http://www.aussieinfrance.com/2016/10/discovering-canal-saint-martin-in-paris/. I’m sure you’ll find lots of air B&Bs around that area. Paris is becoming more eclectic in terms of food. What would have been difficult in the past is now much easier. You can check out this website http://www.parisvegan.com/2016/01/what-can-vegans-eat-in-standard-paris.html. And do let me know how you get on! Hi guys, i will be visiting paris for 1 week on feb 2017 for first time. Made some research and i maybe staying in les halles or st.germain. Which of the two areas you think is a better place to stay? Does it snow in paris in late feb? Thank you so much for your comments. Hi Marc, it does not snow in Paris every year, but when it does, it’s usually in January. I have seen it snow though as early as December and as late as April. The choice between Les Halles and Saint Germain depends on what sort of ambiance you like. Saint Germain is more students/tourists whereas Les Halles is more trendy. Thanks to everyone who has helped with their travel experince. My husband and I are visiting Paris for the very first time in August this year and wondering if there are any good places with Airbnb to stay. We use Airbnb when we travel and would love to use them on our our trip. Any help from readers will be most welcome. Flying out at 9.30 am means getting up pretty early! You haven’t mentioned which airport you leave from. You must absolutely arrive at the airport a good 2 hours ahead of your flight if you are leaving from Charles de Gaulle, and at least 90 minutes from Orly. We left for Cyprus recently from CdG and 2 hours was barely enough. You might consider taking a hotel that is near the RER express train that goes to CdG airport. It will be cheaper and take less time to get to the airport in the morning. You could also ask the question on Fodor’s travel forum. Took a little searching to find what would suit…ended on Google maps tracing along the RER B line out of Paris looking at possible hotels. After much analyzing came up with Kyriad Roissy Villepinte – Parc des Expositions Hotel as most suitable for us. We can walk 4 or 5 min from Gare de Parc des Expositions, check in, freshen up and back to the station for a trip into Paris and a bit of sightseeing, till the last train back to Gare de Parc des Expositions. Should work out well! Ah, that sounds like a good solution. There are quite a lot of trains there as well. I’ll be interested to hear what the Kyriad is like. It’s a chain and the hotels are usually in the industrial areas of large cities. Enjoy your stay! We area visiting Paris (1st time) with our 9yr old daughter and are attempting to seek out the best place to stay while in Paris. Any suggestions. We are looking at AirBNB. We will have been on the road for a few weeks and are ending in Paris , before flying back home to Australia. Planning about four nights in Paris. The latin Quarter looks as though it would be the best place.. But do you have any suggestions. Hi Scott, you really do have to decide what you want to do in Paris so that you can work out the most central place. You haven’t said what period of the year you will be there – it makes all the difference as well.